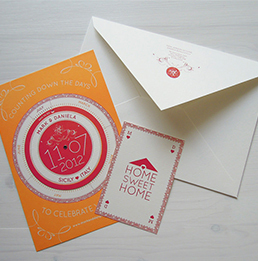 A custom designed invitation carries your message in a uniquely personal way. Our graphic design professionals will work with you to achieve the look you need with special embellishments such as embossing or foil hot stamping. Standard card sizes (Paneled or non-paneled) are matched to standard commercially available envelopes. Other options include card stock in coated both sides, coated one side and non-coated cover weights. Choose to print in one color, two color or full color on one or both sides.